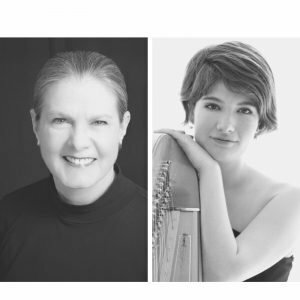 DALLAS (March 23, 2019) – Fine Arts Chamber Players announces the retirement of Rogene Russell, the organization’s co-founder and artistic director. The Board of Directors has appointed Emily Levin as artistic director of the free chamber music concert series FACP produces at the Dallas Museum of Art. Ms. Levin is principal harp of the Dallas Symphony Orchestra. The two will work together this Spring and Ms. Russell will officially conclude her time with FACP when the current concert season concludes in May 2019. In addition to being an incredible administrator and fixture among the Dallas music scene, Ms. Russell enjoyed 39 seasons with the Fort Worth Symphony Orchestra and 29 seasons with The Dallas Opera Orchestra as principal oboe. Ms. Russell is also a faculty member at the University of Texas at Arlington and teaches private students. Ms. Russell told the FACP Board of her retirement plans last fall. A search committee was convened and met with multiple interested parties. Under Ms. Russell’s direction, FACP expanded steadily over the years. The inaugural program, the Basically Beethoven Festival, is Dallas’s only free chamber music series offered in the summer. The museum series, presented in conjunction with the Dallas Museum of Art, is the only series with always free admission and features professional musicians. Beyond public performances, FACP has robust music education offerings, including individual and small group lessons, that are offered to deserving Dallas students at no cost to the students. The final museum concerts of the season are April 13 and May 4, 2019. Under the direction of Ms. Levin, the 2019-2020 season will open in October 2019. FACP’s 39th annual Basically Beethoven Festival opens July 7 with weekly concerts on July 14, 21, and 28. 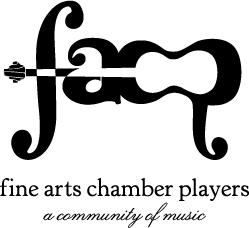 Information on all FACP programs and concerts can be found online at www.fineartschamberplayers.org. FACP was founded in 1981 with the FREE Basically Beethoven Festival, which quickly became Dallas’ premier summer chamber music festival. In 1984, FACP began the Bancroft Family Concert series performing in the Horchow Auditorium of the Dallas Museum of Art. FACP also maintains educational programs via musical residencies in select Dallas schools, masterclasses, and a troupe who creates original educational material for school performances. To date, FACP has served more than 250,000 children with education programs and performed quality classical music for over half a million North Texas citizens – all completely free of charge.